Are we going inside any haunted locations? Unfortunately, no, not unless you have a cool million or so to put down on a historic residence in the French Quarter. Do you believe in ghosts? The answer to that is yes. I’m fully aware that many guides out there are all-in-out skeptics, but I’m not one of them. Will we experience any paranormal activity on our tour tonight? This one’s the kicker, mainly because all guides only wish that we could make ghostly phenomena perform on demand. How much easier would that be for tour companies or paranormal investigators? So much easier. So that question of whether or not guests will experience ghostly phenomena while on a tour? Highly unlikely—until, that is, it actually happens. The first time occurred last August. I remember only because it was deathly hot outside and I was, unfortunately, sweating profusely. That night, only two sisters had joined me for our Killers and Thrillers Tour. They were incredibly nice, interested in the paranormal and intrigued by the mystery of the darker side of New Orleans’ past. The Killers and Thrillers Tour was a perfect fit. 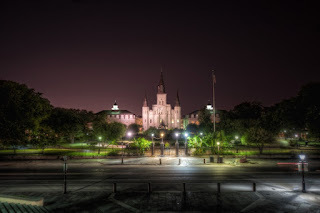 As we made our way to our second stop, the sisters asked me about different haunted hotspots in the city—in New Orleans, it’s difficult to come across a place that doesn’t have a ghost story or two lingering around. But perhaps my favorite story of all entails the Pharmacy Museum. Its original owner Dr. Louis Dufilho was the first licensed pharmacist in the entire country. The first floor of the museum still boasts that 19th century atmosphere, with items like Voodoo Love Potion, medicinal leeches and laudanum (opium) stocked on the oak shelves. But the dark and gory tales of the property didn’t begin until Dufilho’s retirement and the property’s sale to pharmacist Dr. Joseph Dupas. Whereas Dufilho was a man greatly loved by the citizens of New Orleans, Dupas was the guy you avoided if you could. In the mid-1800s, he had been arrested for violating health code violations, for bludgeoning a politician in the head with a hammer, and for nearly (or so they say) murdering a young girl with his medicinal work. As I related the tale, the sisters exchanged looks of disgust. It only got worse, though, because it was rumored that Dupas practiced experiments . . . and he preferred to do so on pregnant women. After hiring local grave cart drivers (who were bringing yellow fever victims out to the cemeteries for interment) to poison pregnant women on the streets with chloroform, they would bring the women to the pharmacy so that Dupas could practice c-sections. Most often, the women died, bleeding out right on the table—in the chances that they survived, it’s said that he murdered them before handing them back to the grave cart drivers. Dupas suffered from syphilis, and so mentally became more unhinged with every passing year. It was at this point that I noticed one of the sisters begin to sway. Her skin turned yellowish-green. She asked me to sit down and I quickly helped her to the sidewalk curb. Rifling through my bag, I pulled out an extra water bottle and offered it to her. “It was hot,” I said. The sun was beating down, torching our necks with its unforgiving rays. And, to be completely honest, that first time I chalked up the near-fainting to a bad case of heatstroke. Even after I asked the sisters if they wanted to reschedule or be refunded, they both assured me that they had been so excited for the tour—they weren’t backing out. The second time occurred perhaps three weeks later. It was the later tour, the 8PM, and night had already slipped over the sky and blanketed the heavy sun. The air was cool for once. My group was much larger that night, probably around twenty, and we were camped out directly in front of the Pharmacy Museum. At that time, I liked telling the grisly story right before its front doors so guests could peek inside the glass windows and glance up to the entresol (the French Quarter’s version of a basement) where the experimentations allegedly occurred. Like always, I jumped into the storytelling, weaving it this way and that like a musical performance reaching its crescendo. Throughout I sporadically glanced at a woman who looked ready to pop at any moment. Her hands continuously went to her pregnant belly and I offered her an I’m sorry smile for the nature of the story. It wasn’t her I should have been worried about, but the woman beside her. She reached out and clutched her partner’s arm. Immediately I jolted into action. Again I rifled through my bag for an extra water bottle, shoving it into her hand as the group formed a circle around us. Her nod was weak. “Yeah,” she whispered, “It was just . . . It was weird. One minute I was totally fine, and the next this haze just came right over me. I’m really, really sorry." I told her not to apologize. I pretended that it all had to do with the hot Louisiana summer, even though it wasn’t that hot anymore and even though her dizziness had struck almost to the same exact sentence that the first girl had weeks prior. That night, the pregnant woman was the only one to capture any paranormal activity at all on her phone. I tried not to let either of the instances faze me. It happened again two weeks later. Same location, same part in the story. Like the two previous times, it was another woman. This time, when I saw the lady’s hands dip to her knees, I said: “This is going to sound really weird. I know it will. But I think that if you move . . . even just five feet over . . . you will feel dramatically better." She gave me an odd look, which then forced me to explain why I thought this to be the case, but she took my suggestion anyway. Almost immediately her color cleared and her gaze lost that glossed appearance. The tour continued without any further incidences, and if my guests thought me a little weird for overreacting they didn’t tell me so. The final instance came perhaps two or three weeks after the near-miss. Up until then, I had convinced myself that they were pure coincidences. The French Quarter, especially if people have been boisterously drinking all day, can take out even the best of us. On the tour that night, my group was middle-sized. Already I’d gotten the question, Will we see a ghost tonight? Probably not, I told them. What’s the best way to capture paranormal activity? Use your phone or digital camera, I said. We neared the Pharmacy Museum, took our places. I launched into the tale, immersing myself in the grittiness of our city’s history. The yellow fever epidemics, Dupas’ scheming ways. I should have known that something would happen—the air felt electric that night. As I spoke, the Irish girl beside me went down. With reflexes I did not know I even had, myself and her friend caught her by the arms. We caught her, just barely, before she would have gone smashing to the concrete. To say that my heart was beating fast would be an understatement—how could this keep happening? Wearily, the girl glanced up at us. My fingers were posed over my cell to call 911. The first words out of her mouth were: “Am I in Dublin?" My first words were: “No, but I imagine right now that you wish you were." After explaining to her what had happened, as she remembered nothing at all, the girl turned to her three friends with a laugh. (It’s got to be said that I was not laughing at all). “Guys,” she exclaimed, “How about the fact that I said right before this tour that I didn’t believe in ghosts." Her friend giggled. “You did say you wanted to be shown that ghosts exist." While they laughed, I pretty much suffered a mini-panic attack. I ushered the girl a few feet over, just like I had before, and the yellow cast of her skin cleared. She drank heartily from my extra water bottle and discussed how it was so weird that that had happened to her. It was weird. The first two times could have been chalked up to coincidences, but three or four times? No. Something paranormal was happening. I glanced up at the three-story townhouse. Guests who visit the museum often experience a disorientating scent (like formaldehyde) while ascending the staircase. Ghostly activity occurs on almost a daily basis, with security cameras picking up shadowy figures and museum artifacts being moved by unseen forces. Had Dupas somehow decided to show me that he held the power? I didn’t question it. After that instance, I brought my tour groups across the street instead. Nothing like that has ever happened again to me, and if my groups have asked why other companies stand by the front doors but that we don’t . . . Well, I explain to them what happened. I explained that Dupas’ penchant for women and making them feel week did not stop with his death, but has continued for the last century and a half. Usually, they don’t have much to say after that. 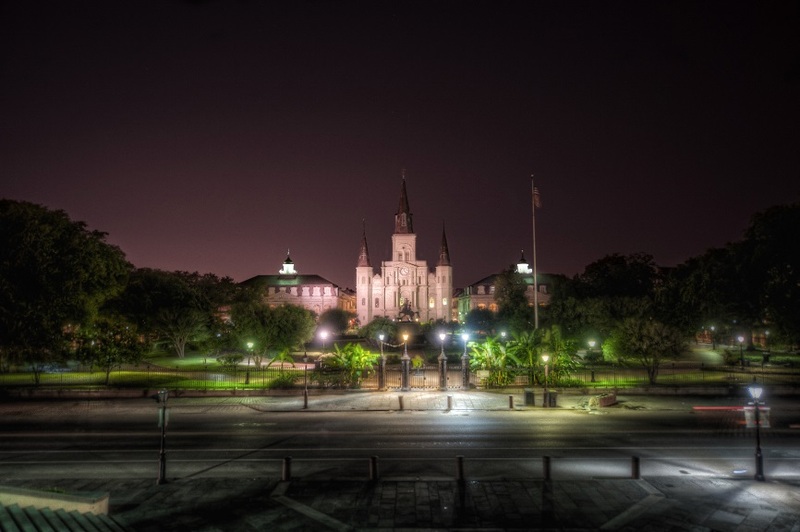 Neither do I.
Maria first came to New Orleans to attend Loyola University, only to quickly realize that the Crescent City's weirdness matched her own. Since then, she's left only to visit her hometown in the Northeast and to attend graduate school across the pond in England. 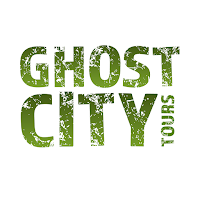 She's been a tour guide in a medieval townhouse, a Viking museum, and, most recently, a guide for Ghost City Tours. 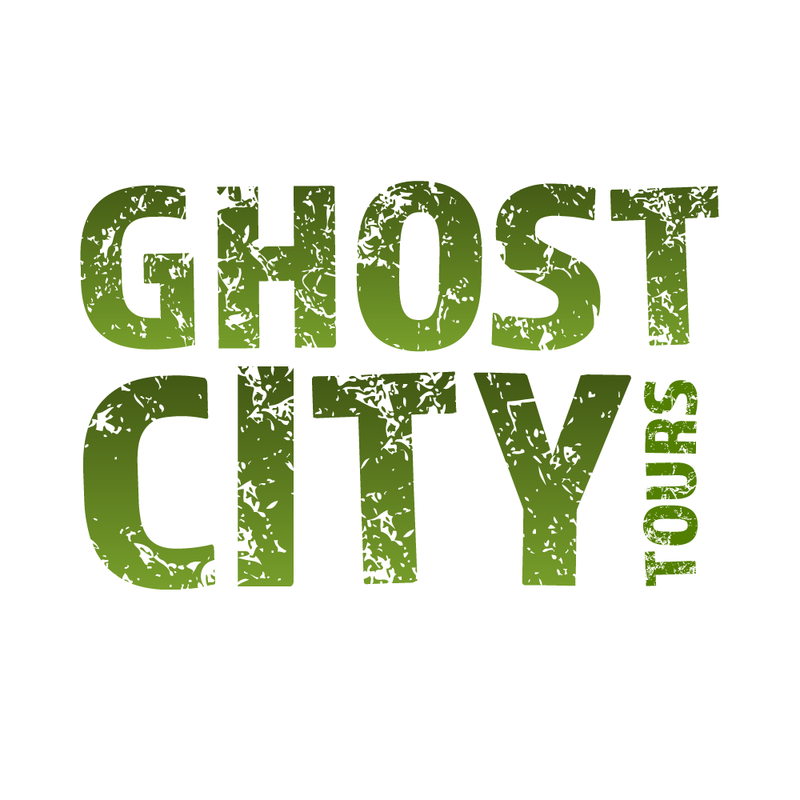 Through working as a tour guide for Ghost City, Maria was offered her current position of Media and Public Relations Director. Her role for the company comprises her favorite topics: writing and history. If you’re looking to talk murder, mystery and scandal in Pre-20th century America or Medieval Europe, she’s your girl! When not working, Maria can generally be found bringing her two black labs on adventures.